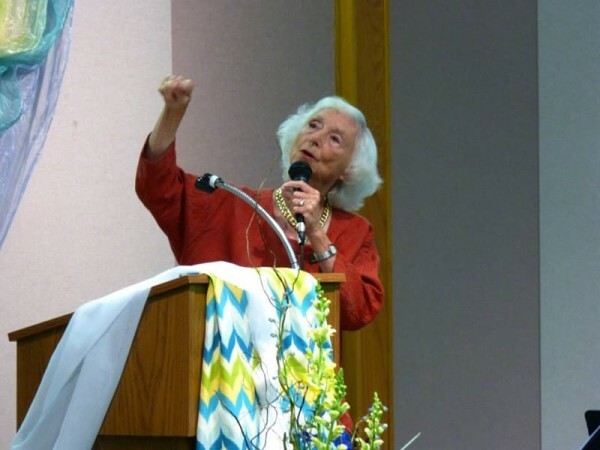 New Age figure Barbara Marx Hubbard was blessed and welcomed by the Sinsinawa Dominicans prior to giving her talk at the 2013 Community Days Celebration at Sinsinawa Mound. Via the Sinsinawa facebook page. There’s been some very positive news for everyone who hopes for resolution of the serious problems in most communities of women religious whose leaders belong to the larger and far more troubled of the two US women’s religious superiors’ groups, the Leadership Conference of Women Religious. A friend commented to me yesterday about Cardinal Muller’s recent address to LCWR, “It is nice to see someone in authority speaking about specifics directly, though still quite diplomatically. I think your report was quite timely.” While am grateful to be able to do any small service, precisely because I am motivated by love it really does make me sad that a book of this kind could even be needed or useful to the good of the Church and religious life. It is consoling for Catholics to remember there are some other American Dominicans, Sisters, nuns and friars who don’t aim to be forces for “evolution” but still are trying to be among the most potent preachers of the Gospel of Jesus Christ. Cardinal Muller’s address to the LCWR leadership concluded: “The LCWR, as a canonical entity dependent on the Holy See, has a profound obligation to the promotion of that faith as the essential foundation of religious life. Canonical status and ecclesial vision go hand-in-hand, and at this phase of the implementation of the Doctrinal Assessment, we are looking for a clearer expression of that ecclesial vision and more substantive signs of collaboration.” In other words, LCWR cannot continue to be a canonical entity if they are gnostics promoting beliefs so much at odds with Catholicism… by extension this really logically goes for individual religious congregations too. LCWR states briefly that, following Cardinal Muller’s bracing address, “The actual interaction with Cardinal Müller and his staff was an experience of dialogue that was respectful and engaging.” Archbishop Sartain commented generically to the National Catholic Register that this ensuing conversation was frank, open, and respectful. This does not tell much except there was not a fistfight. I don’t think the dialogue has broken down. 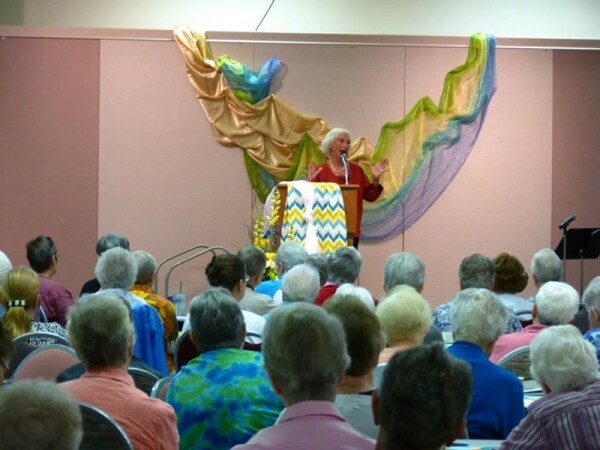 I personally think there is at least a possibility that the LCWR may begin to adhere better to the requirement to consult with Archbishop Sartain on choosing speakers and so forth. I think we need to pray for those engaged in this dialogue. Very nice article Elizabeth, but one note please, on the (Tielhardianism-gone-wild “new cosmology” or “universe story”) you mention. Fr. Teilhard’s work, which has long been embraced by recent popes, is centered on the Christ of the Church, while the others you mention are not; so I would think it is more a case of something other than Teilhardism and the only connection it has to Fr. Teilhard’s work—though all of those whose work I’ve read (including those you mentioned), claim Fr. Teilhard as a spiritual mentor—is that it is spiritual speculation. Fr. Teilhard was a great Catholic theologian and scientist whose value is increasingly being recognized by the Church; and anyone reading his works in depth, will appreciate this. The others are not even in the same ball park, regardless of the roots they claim to share with him. Dear David, thanks for your comment. I have one or two books here by Tielhard de Chardin and one book about him by Henri de Lubac. While I have not read any of the books, I have looked through them and one can see at a glance that Fr Tielhard is, as you say, very far from being Barbara Marx Hubbard. I have seen his works referenced by Pope Benedict XVI and other very fine theologians. I have not found much use for his theology, but I do not think of him as a heretic based on what I know of him. As you point out, the fact he was both a noted anthropologist studying early man and a theologian makes him a significant figure. I should clarify that it is what others have done with his ideas and “gone wild” that is a problem–and that has happened a lot. The reality is that people used his ideas as a starting point (together with other, non Catholic sources) and developed that in heterodox directions. Thank you Elizabeth! Excellent work! Praying. 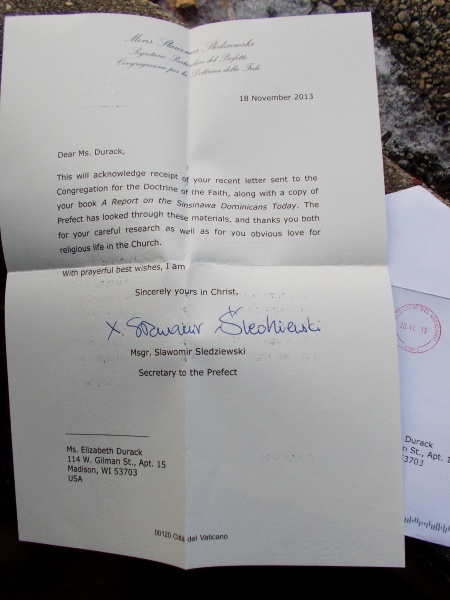 Dear Elizabeth: I am happy to see you have works of Fr. Teilhard in your library; and I also have the works of Lubac about him as well as collecting over the years all of the works of Fr. Teilhard. I posted on my blog some additional comments about this, read at http://catholiceye.wordpress.com/2014/05/08/fr-teilahrd-de-chardin/ , which I hope makes the point a bit deeper. I think that truly excellent theologians like Ratzinger do a service when they interpret the writing of a sometimes ambiguous author like Tielhard from an orthodox perspective, as it can help to direct the theological discussion of his ideas in healthy directions. Ratzinger is an exceptionally clear thinker who also expresses himself with exceptional clarity and this makes him a great teacher and a great theologian. Some churchmen who are in fact good people with many good and profound ideas are not real clear theological thinkers or communicators, or are sometimes a little bit mistaken. Pope Francis is one of these, and I don’t think it is a reflection on his character. He can be ambiguous and confusing to the point that it can be frustrating to try to attend to his day to day musings. His witness to the Faith is thus far not of the kind that makes for the most excellent theological documents. Yes Elizabeth, I do agree that the Church had cause to be concerned about Fr. Teilhard’s writings, but not, in my opinion, to the point of refusing to allow him to publish any of them in his lifetime. A far better response, in my opinion as a fairly recent convert (baptized in 2004), is to allow virtually any publications from Catholic priests and theologians and instead of sanctioning them, address any ambiguity through proper catechesis from the bishops and Peter. Restricting Catholics access to ideas about theology that are, as you noted: “very serious heterodoxies of contemporary theologians” by sanctions—rather than education, as you note in Pope Benedict’s response to Fr. Teilhard’s teaching—seems to imply that Catholics cannot be trusted to know or understand their own faith. As I wrote that I know many Catholics do not take the time to study their faith, so warnings, in the forms of sanctions, are a short-cut; but when it comes to the truth represented by our glorious Catholic body of teaching, I think short-cuts are not as good as taking the opportunity—given by heterodox (or first appearing so) Catholic theologians—for a teaching moment to explain the Church’s true teaching in light of the disputed work, which may, after study, actually enhance the Church’s true teaching. And, agreeing with you, I think this is just what Pope John Paul and Pope Benedict were doing when they did comment on Fr. Teilhard’s work; acknowledging its worth, while adding their interpretation. Any of the great Catholic theologians, including the greatest of them all, St. Thomas Aquinas— whose work means so much to me—has, in his quantity of output, said many suspect things as development of doctrine so often reveals; as the reality of heliocentrism championed by Galileo over the geocentrism once championed by Aquinas and the Church being one obvious example. Chardin, P. T. D. (1978). The heart of matter. (. Trans. R. Hague). New York: A Helen and Kurt Wolff Book, Harcourt Brace Jovanovich. Radical feminism is antithetical to Christianity. I don’t see why the conversation needs to go any further, or on what basis it can. Be penitent or be gone, “sisters.” Preferably the former. I pray for the former.